Which payment processor would be the best alternative to PayPal and why? I would like to introduce you a complete online system ‘OKPAY.com’ that gives you fully control over your finances. Its payment network offers number of payment options for businesses in over 200 countries. It has all the important features like Globally Accepted Debit Card, Payment Solution for Every Business, Access to All Payment Options and True Internet Banking. I am sure that you can get maximum benefits by registering and using OKPAY.com system. Here, I will share and explain time to time all the current and upcoming features and events of ‘OKPAY.com’ ; so that you can get maximum benefits of this one of the best fоrex system. Good luck and best wishes for your business success! Thank you for your interest in OKPAY. OKPAY Company Receives Registered Trademark for OKPAY® in the European Union. OKPAY Inc., a rapidly growing payment processing and financial service, announced that the company has received a registered European Community Trade Mark from Office for Harmonisation in the Internal Market (Trade Marks & Designs) – OHIM for the company’s OKPAY® brand. The January 2nd, 2012 issuance of OHIM serial number 010083764 grants OKPAY exclusive Europe-wide rights to use the mark on or in connection with electronic wallet services, credit card transactions, and other financial operations. In addition to our service mark registered with the United States our company has obtained legal protection of its name in territory of the European Union. From now all our services worldwide will be proudly presented under the registered service mark OKPAY®. A winner of the New Year draw announced! We're glad to announce the results of the contest among the OKPAY Debit Card holders carried out by OKPAY and our financial partner UWCFS. Dear clients, the New Year competition is over. We're glad to announce the results of the contest among the OKPAY Debit Card holders carried out by OKPAY and our financial partner UWCFS. So, the most lucky user and the winner of the competition is Miss. Malwina O******k from Poland!!! She has become an owner of our main prize - iPad 2!!! Our sincere congratulations to the prize winner! We would also like to express our immense gratitude to everyone who has taken part in the contest. 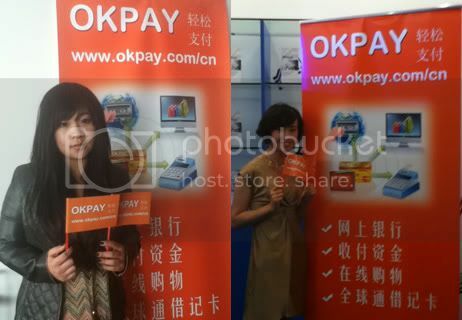 The Chinese Branch of OKPAY Company participated in Shanghai International Finance & Money Fair 2011, which took place on 18th – 20th of November. Money Fair is an event bringing together best investment and finance opportunities from nation's premier organizations along with varied insurance options available in the market. The iconic event will be China's premier event on money matters, finance options, insurance and investment products, services and technology. The exhibition was officially declared as "the biggest annual gathering for finance industry" with more than 160 000 visitors attended during 3 exposition days. 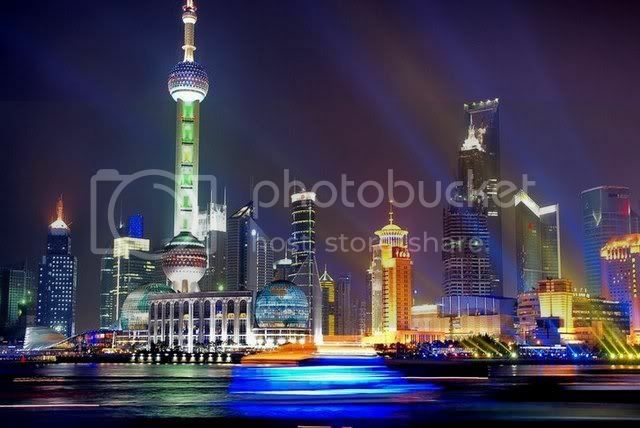 One of the main agendas covered on the Shanghai International Finance & Money Fair 2011 are the development of modern bank institutions, insurance services, funding and investment opportunities and forecasts, topics regarding the gold questions, integrated financial management and many more. OKPAY is proud to visit such an important event and be a part of a new developing and rapidly growing community of professional financial industry organizations. The exhibition itself was a great opportunity for OKPAY in finding new partnership opportunities, experience exchange and a deeper integration in the Asian sector of the market. We have received positive feedback on our service with very optimistic partnership opportunities. The Chinese Branch has been established just a few months ago, we are glad to notice the increased demand for our services between Chinese businesses, merchant and clients. We do believe that OKPAY will have a good future in China! Earn up to €500 per referral! Every one of your new OKPAY payees becomes your referral, which, if they continue to use their account (and also because they will probably invite new members to bring you additional, 2nd-level earnings), gives you an opportunity to earn up to €500 per referred user! The OKPAY payment system is interested in cooperating with popular websites and Internet business projects. One thing is quite clear: the more you and your Internet business clients use OKPAY, the more money you earn! Do business with OKPAY! With the help of our Partner Exchanges you can perform all kinds of currency exchanges involving OKPAY e-money. See the list of exchangers who will be happy to buy or sell you OKPAY. 11. Okpay is becoming a good payment processor everyday.I love teir services but one thing i don't like is the fact that we have to verify our account before we can be transferring money out of our accounts.They should have act like Alertpay. I want to add some experiences when I withdrawal from UWCFX account to OKPAY. There are fastest way, and I can exchange the currency to ok-change.com to LR USD account. In my first withdraw, there aren't not commission to transfer to OKPAY. I guess the OKPAY will grow in this year, much traders will be use it to make payment. I recommend you to open it for free. In my mind Financial services include centralized payment, collection, and reporting services, oversight of a daily cash flow of nearly and federal accounts. Hi, can you please give me more detail on financial services. I think there are alternatives available but not good as pay pal is. Paypal is from one of the biggest name in online payments but some times it was very risky to depend on the Paypal only. The great Paypal alternatives which are used for online payment processing are payu and paytm, yo will also get some information of payment from nationkart. 1. Skrill 2. Payoneer 3. Payza These services could be good for you.While there are plenty of online payment systems, none can really replace PayPal completely. here it how it works- one transfers money to the ASccount in London and you or the recipient gets it within 2 days on his account abroad. exchange rate is interbank (!!!) and fees are 4.95 for 500 Euro, where normal banks charge 25 and more. Is Veripayment A Good Alternative to Paypal? Page created in 0.238 seconds with 56 queries.